Celeb Gossip News – Breaking Bad movie: Will there be a Breaking Bad film? Is it in the works? Breaking Bad has been credited with breaking the mould of television as we know it. The story centres on a morally flawed anti-hero and his foul-mouthed accomplice and they have become one of the most ubiquitous pop culture duos out there. When the series finished in 2013 after five long seasons, many mourned not only the death of protagonist Walter White but also the end of a TV era. Netflix has capitalised on Breaking Bad’s success with Better Call Saul, a show set in the same universe featuring some familiar themes. But now, is there a Breaking Bad movie in the works? The answer, perhaps to the disappointment of die-hard fans, is both yes and no. 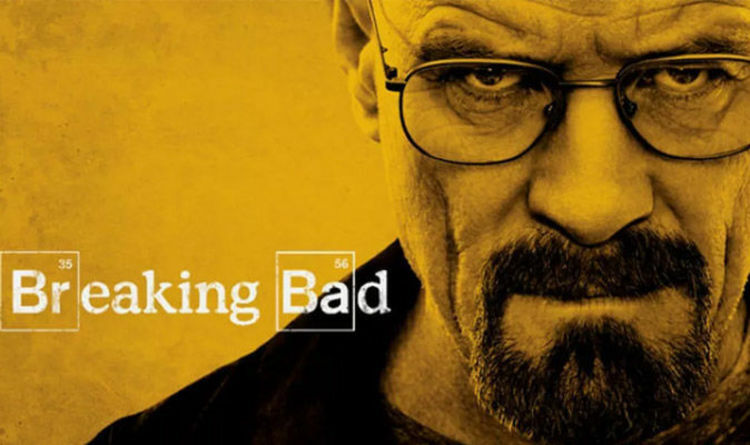 Breaking Bad, which won AMC several Emmy’s, is about to have its universe expanded. Much in the way Better Call Saul takes place in the same universe as a prequel, the new Breaking Bad movie will also be in the same world. Deadline’s Nellie Andreeva wrote: “The movie is envisioned as a standalone instalment in the Breaking Bad franchise that lives in the Breaking Bad universe. “It is unclear whether cast members from the original series, led by Bryan Cranston and Aaron Paul, would return for the film, but I hear the hope is that deals will close for actors to reprise their roles. The New Mexico Film Office confirmed the project to the local Albuquerque Journal today, November 6. Stoking the fires of rumour, a project with the working title Greenbriar is set to start its production in Albuquerque (the New Mexico city) in mid-November. The supposition is that Greenbriar is code for the Breaking Bad movie, but nothing has been confirmed. According to the Albuquerque Journal, the movie will follow the escape of a kidnapped man and his quest for freedom. Adding to fuel to those aforementioned rumour-fires is the suspicion the ‘kidnapped man’ might be Jesse PInkman, played by Aaron Paul in the TV series. This comes hot on the news The Walking Dead will be getting its own film series, starring Andrew Lincoln as Rick Grimes. As the line between TV and movie continues to blur, with anthology-movies like the Coen Brother’s Ballad of Buster Scruggs and Netflix’s constant stream of original content, who knows what new projects will make their way to our screens. Not all are pleased by the news, however. But for every detractor, there are enthusiasts, and certainly many more who are simply curious as to how a good (or bad) a Breaking Bad movie will be. Get ready to dust off your old fan theories and, as more details come to light, come up with some new ones.